Visit The Costume Box at Danceworks Devon for a wide range of high quality dance shoes at competitive prices. We stock reputable suppliers including Supadance, Roch Valley, DSI, Bloch and Capezio. We stock ladies dance shoes, mens dance shoes and children’s dance shoes. If we don’t have what you are looking for, we can usually order it for you and have it delivered within 48 hours. 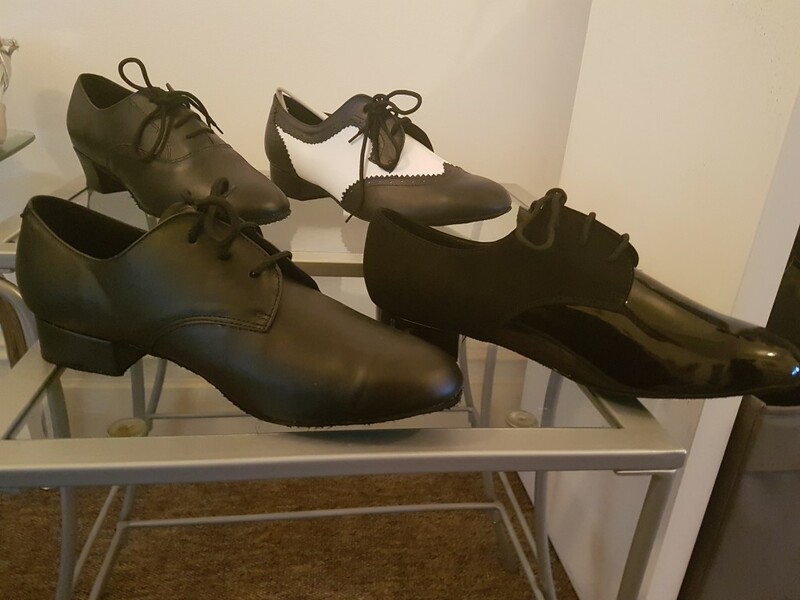 Below is just a small sample of the huge variety of dance footwear that we have at The Costume Box – please visit the shop to view our full range, try some shoes on and benefit from our expert advice. Please visit our contact page to find out where we are located and see details of our opening times. If you are making a special trip, please call ahead to book an appointment. Whether you are looking for Ballroom Shoes, Latin Shoes, Ballet Shoes, Tap Shoes, Character Shoes, Jazz Shoes, Dance Trainers or Practice Shoes, we can help you to find the pair you are looking for. We have shoes suitable for everyday wear in the studio, practice shoes, social dance shoes and stage shoes. Our collection caters for all abilities ranging from beginners to budding amateurs and professional dancers. Pop in when you next visit the studio, or call us on 01626 365112 to arrange an appointment.